Shopping for Mega Man Lamps? 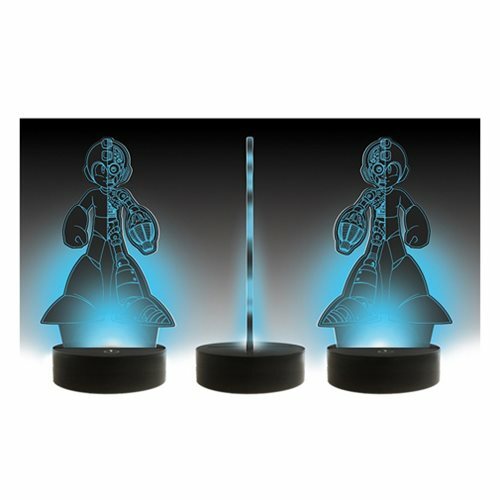 Mega Man will light up your room as this sensational Mega Man Blue Print LED Lamp inspired by the uber-popular video game franchise created by Capcom. Use the included USB cord to plug in Mega Man and watch him glow blue! Any true-blue fan will want this in their home! Measures about 10 1/2-inches tall x 6-inches long and USB cord measures about 3-feet long.